FTC Disclaimer: Product was received free of charge. All opinions are my own. My 3 Latest Mommy Must Haves for Newborns! Ladies, we have officially hit the 3rd trimester! The final countdown is ON before baby Blossom gets here and I truly believe Alaska’s winter this year has been on our side (so far! ) Today I have the incredible honor to share with you some of my favorite baby must-haves brands, all geared to help you and I and this whole motherhood journey a tad bit easier, more functional, and yes… even a bit more stylish! From my growing family to yours, please enjoy these products I have rounded up for you! ALSO, a HUUUGE thank you is in order for our incredible brand sponsors! Ollie World, Binxy Baby, and Lille Baby, y’all are incredible. Thank you for supplying baby Blossom with the best of the best in the baby world and thank you more importantly for your passion and commitment to bettering the lives of women and children around the world! Okay, ladies! Let’s get started! First up on my list for you… all things OLLIE WORLD! Also known as the Smarter Swaddle™, this swaddle is absolutely incredible. They claim to be designed by science and made with love; and ladies… I could not agree more! 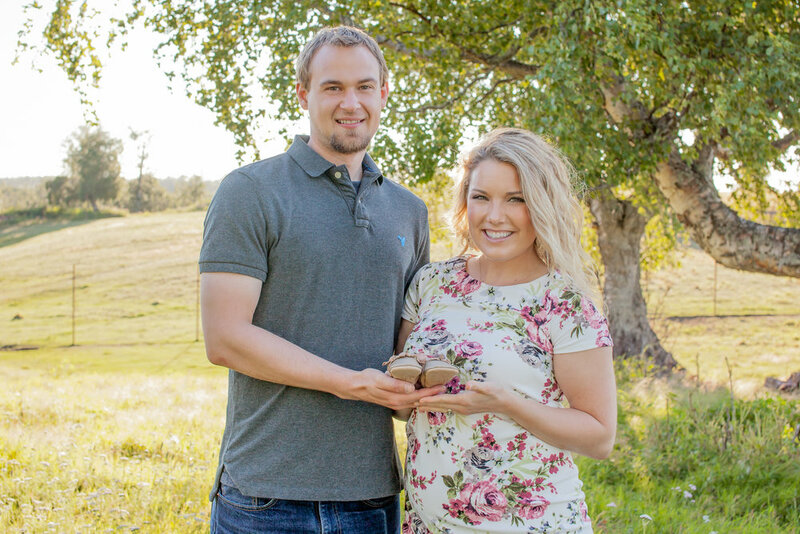 I absolutely love the brain and heart behind this product and know it is going to be so helpful when baby Blossom arrives. As an occupational therapist, it is so important for me to find a swaddle (like Ollie!) for our little guy that is going to meet and exceed my standards. And ladies, they did just that! The fabric is patented moisture-wicking, which helps to decrease the risk of your little overheating. The swaddle is incredible for using with newborns and has customized closure to help ensure a customized fit. That being said, there is only one size so as your babe grows, the swaddle continues to move up with him or her! Arms in/out design and the bottom is open for diaper changes which make it a perfect baby swaddle! There are tons of swaddles on the market, so it is important that you do your research ahead of time. The Ollie World has EVERYTHING you need. Speaking of everything you need… check out this easy-peasy “how-to use guide”… best ever, right?! Ladies, also remember, when you purchase your Ollie Swaddle, never place the Ollie above the shoulders, as it should always start below. So, who is ready to get swaddling? Remember, it’s important to invest in quality products for you littles. I WILL FORVER be an Ollie fan and cannot wait to spoil our kiddos with this safe and snuggly swaddle! 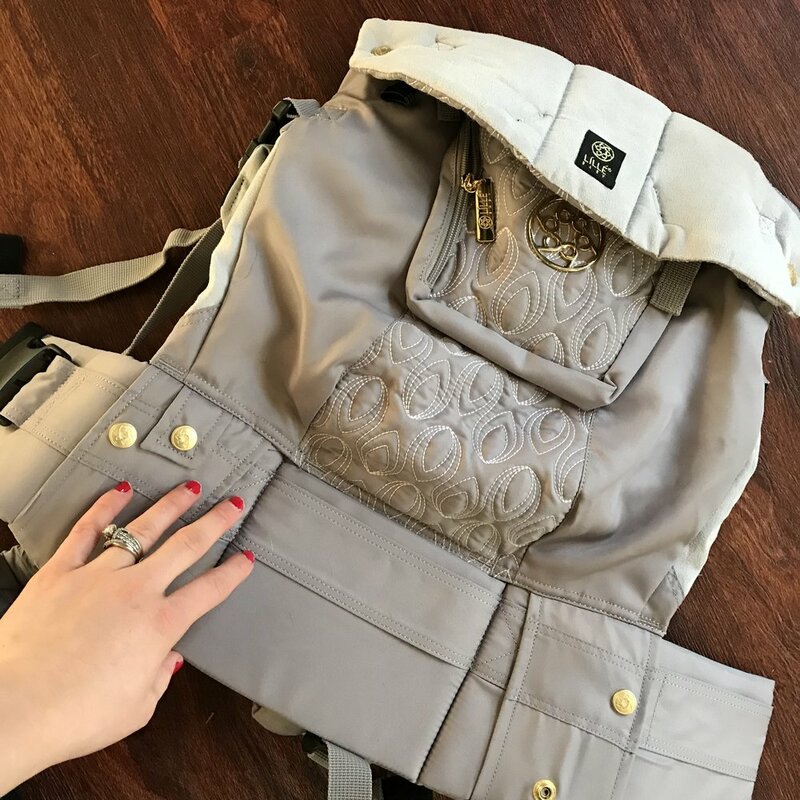 I received the COMPLETE EMBOSSED LUXE BABY CARRIER – MYSTIQUE carrier and cannot wait to use this beauty with Baby Blossom! The combination of the timeless print and embossed piece is absolutely stunning, soft, light, and breathable for baby boy. If you’re a Momma with a toddler who also has a baby on the way, the COMPLETE or CARRYON and extra sling or wrap are perfect for you! Ring slings and wraps are popular for all my pregnant mamas or mamas with kiddos under 9 months! Ladies, the awards, recognition, and popularity of this brand are of no surprise. It is my heart’s greatest desire that you will explore all thatLILLEbaby has to offer and select a carrier that best fits your needs and the needs of your child. 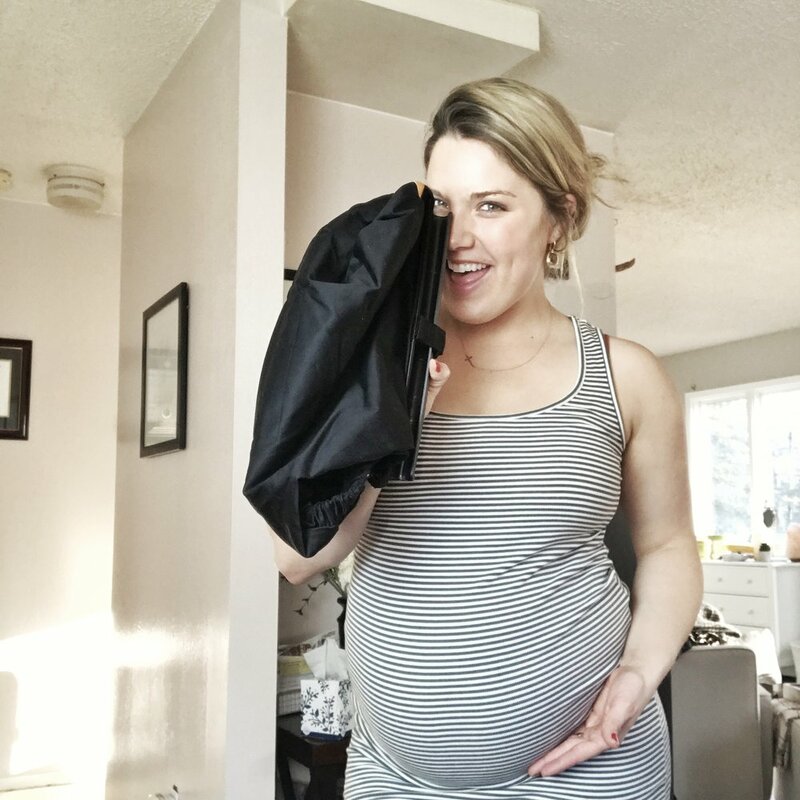 Let’s get real serious, REAL FAST on all things shopping with a newborn! If you are ready to take your shopping trips to the next level, Binxybaby® is going to be YOUR JAM. I’ve heard from many of my Momma friends report that store outings can be… well, let’s just say an adventure :). From littles who can’t stand the carseat while shopping, to the clutter and decreased space of kiddos and a carseat in the cart, to the hassle of having to take the carseat out and in of the car, all the chaos stops right here! According to research done by Binxy Baby® , falls from shopping carts are among the leading causes of head injuries to young children. About 24,000 kids a year are treated in hospital emergency rooms because of shopping cart-related injuries. YIKES. Also, while studying up on all things BINXY, I learned that placing an infant car seat on top of a shopping cart is a big no-no :(. Unfortunately, these infant seats are large, heavy, and top heavy, meaning if they fall, typically they will fall face first if bumped. Ladies, we absolutely cannot have this! But have no fear, the Binxy Baby® Shopping Cart Hammock™ IS HERE!! And they're totally FUN, stylish, easy, convenient, and SIMPLE! Here’s why I absolutely LOVE this product and why you should too! Hammock seat hangs elevated (on most carts), making it easy-peasy to fill up with groceries underneath. Super sufficient with sizing, allowing you to roll up and place into your purse or diaper bag for easy transportation! Used for babies approx. 6-8 months until they sit up on their own. Convenient, safe, stylish, and comfortable! I have the black shopping cart hammock and cannot wait for baby Blossom to be snuggled in after he is born! Which shopping hammock will you be getting? Aren’t the patterns to die for?! To all of our Momma brands, THANK YOU for supporting Baby Blossom and all of our Mommas across the world! We are so thankful for your hearts and mission to provide the best baby products around. Much love, ALWAYS!